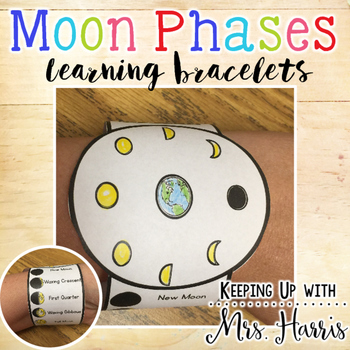 Need a fun and easy way to differentiate and teach your students the phases of the moon? 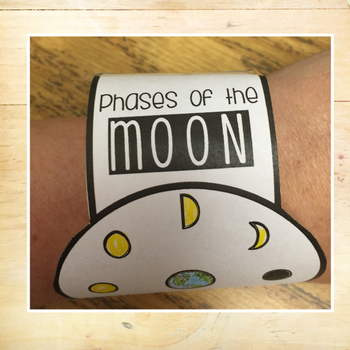 Want to have something the students can wear and be reminded of the day's moon phases lesson once they were home? 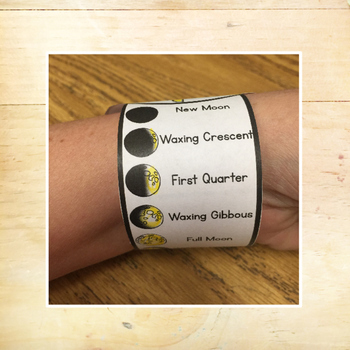 Moon Phases bracelets can make learning way cool and fun all while giving students tangible items to remember the day's lesson. 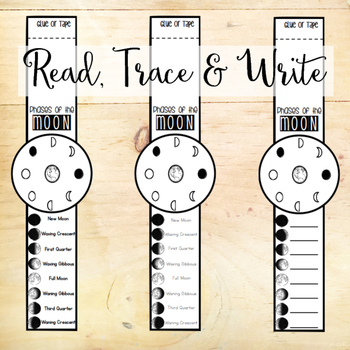 This set includes three levels for learning the phases of the moon: read the moon phase, trace the words, produce the phase.